If he or she is involved in an accident in another state where lawsuits are permitted. The limited property damage liability, or mini-tort, provision of the no-fault law creates another situation in which the driver of a vehicle can sue or be sued. Under mini-tort, if you are 50% or more at fault in an accident, and damages to the other driver’s car are not completely covered by his or her insurance, you may be sued and may have to pay up to $1000.00 in damages. This also means that you may sue the other driver for damages to your car which are not covered by your insurance if the other driver is 50% or more at fault. For example, if you have standard collision insurance with a $100.00 deductible, and are involved in an accident for which you are less than 50% at fault, you can sue the other driver to recover your deductible. Which Court Handles Michigan Mini-Tort Claims? A lawsuit brought under the mini-tort provision should begin in a small claims court, or a municipal court, but either party may have the case moved to a higher court. However, the party who asks for the case to be moved may be responsible court costs if he or she does not win the case. How Are Michigan Mini-Tort Damages Awarded? The amount the person being sued will have to pay will be based on the amount of fault. For example, if the damage is $100.00 and the person being sued is 75% at fault and loses the case, he or she may have to pay the other driver $75.00. Does Michigan Auto Insurance Cover Mini-Tort Claims? 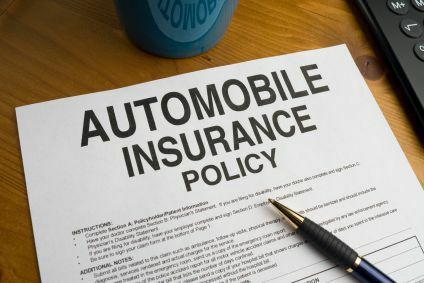 The mandatory no-fault insurance coverage, which is required by law and which includes some liability insurance designed to protect you in suits involving serious injury or death, does not cover this additional $1000.00 liability. Insurance companies usually offer this coverage as an optional coverage which you may purchase for an extra cost. Insurers often call this coverage “limited property damage liability.” Check with your agent to find out how your company handles this liability and what is available to you. If you or a loved one has been injured in a Michigan car accident, you may be able to file a lawsuit and recover compensation for your pain and suffering. We will also assist you in making your mini-tort property damage claim. Call our office today at (800) 606-1717 and an attorney will be available to speak with you about your situation. We do not charge any legal fees. We do this by representing all clients under our No Fee Promise, which guarantees you will not be responsible for payment unless we are able to recover a settlement for you. If your case is not successful for any reason, you will owe us nothing. We put this in writing for you.